To introduce the field of management, task of the manager, importance of planning and types of planning, staff recruitment and selection process. To discuss the ways in which work is allocation, structure of organizations, modes of communication and importance of managerial control in business. To explain need of coordination between the manager and staff, the social responsibility of business and leadership. To explain the role and importance of the entrepreneur in economic development and the concepts of entrepreneurship. To discuss the importance of Small Scale Industries and the related terms and problems involved. To discuss methods for generating new business ideas and business opportunities in India and the importance of business plan. To introduce the concepts of project management and discuss capitol building process. To explain project feasibility study and project appraisal and discuss project financing  To discuss about different institutions at state and central levels supporting business enterprises. Management: Definition, Importance – Nature and Characteristics of Management, Management Functions, Roles of Manager, Levels of Management, Managerial Skills, Management &Administration, Management as a Science, Art & Profession . L1 – Remembering, L2 – Understanding, L4 – Analysing. Organizing and Staffing: Meaning, Nature and Characteristics of Organization – Process of Organization, Principles of Organization, Departmentalisation, Committees –meaning, Types of Committees, Centralization Vs Decentralization of Authority and Responsibility, Span of Control (Definition only), Nature and Importance of Staffing, Process of Selection and Recruitment. Directing and Controlling: Meaning and Nature of Directing-Leadership Styles, Motivation Theories Communication – Meaning and Importance, Coordination- Meaning and Importance, Techniques of Coordination. Controlling – Meaning, Steps in Controlling. L2 – Understanding, L3 – Applying, L4 – Analysing. Social Responsibilities of Business: Meaning of Social Responsibility, Social Responsibilities of Business towards Different Groups, Social Audit, Business Ethics and Corporate Governance. Modern Small Business Enterprises: Role of Small Scale Industries, Concepts and definitions of SSI Enterprises, Government policy and development of the Small Scale sector in India, Growth and Performance of Small Scale Industries in India, Sickness in SSI sector, Problems for Small Scale Industries, Impact of Globalization on SSI, Impact of WTO/GATT on SSIs, Ancillary Industry and Tiny Industry (Definition only). Project Management: Meaning of Project, Project Objectives & Characteristics, Project Identification- Meaning & Importance; Project Life Cycle, Project Scheduling, Capital Budgeting, Generating an Investment Project Proposal, Project Report-Need and Significance of Report, Contents, Formulation, Project Analysis-Market, Technical, Financial, Economic, Ecological, Project Evaluation and Selection, Project Financing, Project Implementation Phase, Human & Administrative aspects of Project Management, Prerequisites for Successful Project Implementation. L3 – Applying, L4 – Analysing. L2 – Understanding, L4 – Analysing. Explain the field of management, task of the manager, planning and the need of proper staff, recruitment and selection process. Discuss work allocation, the structure of organization, the modes of communication and importance of managerial control in business. To explain need of coordination between the manager and staff in exercising the authority and delegating duties. 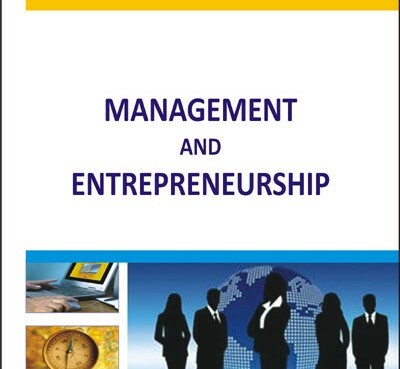 Explain the concepts of entrepreneurship and the role and importance of the entrepreneur in economic development. Show an understanding of the role and importance of Small Scale Industries, business plan and its presentation. Discuss the concepts of project management, capitol building process, project feasibility study, project appraisal and project financing. Discuss the state /central level institutions / agencies supporting business enterprises. Engineering Knowledge, Problem Analysis, Life-Long Learning, Accomplishment of Complex Problems. Each full question carries 16 marks. There will be two full questions (with a maximum of four sub questions) from each module. Each full question will have sub questions covering all topics under a module.